Research: Separating signals produced by host stars and their exoplanets to enable more precise descriptions of the atmospheres on Earth-like worlds. 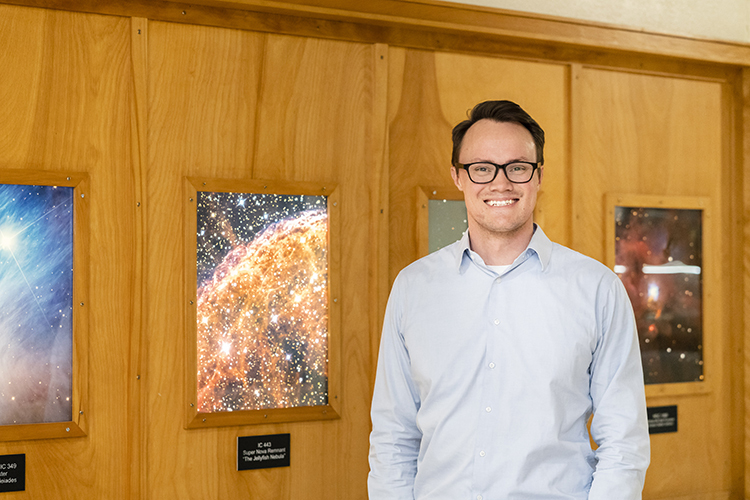 Ben Rackham is driven by a big question: “Are we alone?” He works toward finding the answer by addressing challenges to detecting signs of life on exoplanets that pass in front of, or transit, their host stars. For example, light signals received from stars can often be mistaken for planetary features. Ben’s research on a diverse range of stars has revealed that spots on small, cool stars can give the appearance of water vapor and other atmospheric traits on transiting planets. This effect is problematic for planetary scientists attempting to characterize the atmospheres of Earth-like worlds orbiting these same stars. As an experimentalist, Ben aims to pilot and refine techniques that lead to more robust observations on the true nature of such exoplanets. In his fellowship, Ben will conduct a series of projects to study exoplanet host stars and ultimately produce an open-source tool that disentangles stellar and planetary signals. Using datasets from the Kepler and TESS space missions, he will measure the properties of spots on active stars. He will monitor the brightness of host stars using the SPECULOOS telescope network, and collect highly-detailed observations with the Magellan Telescopes located at the Las Campanas Observatory in Chile. In addition, his efforts to characterize the star TRAPPIST-1 in detail will support the study of its seven Earth-sized planets. Altogether, these contributions will be critical in the search to find life elsewhere in the universe. 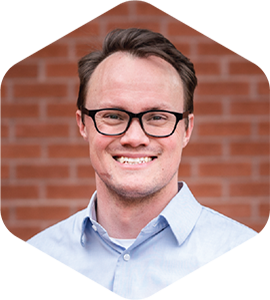 In 2018, Ben received a Ph.D. in astronomy and astrophysics from the University of Arizona. Prior to starting his 51 Pegasi b Fellowship, Ben will continue to work as a postdoctoral research associate at the University of Arizona.